During the ice age glaciers brought boulders to Estonia. When the glaciers melted the boulders were left behind. 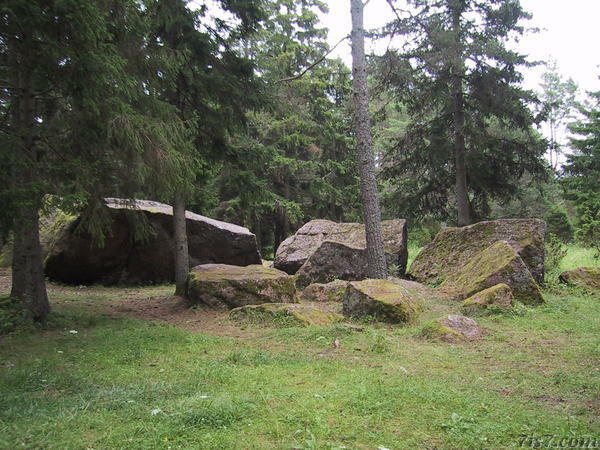 Boulders of varying sizes can be found all over Estonia. The Helmersen boulders on Hiiumaa are a group of such boulders. They were named after the scientist who studied them. Location: 58°59'29"N 22°48'32"E on: Google Maps, OpenStreetMap, Maa Amet.